Home / Stock Picks / Hot Stocks / Is Now the Time to Jump Into Snap Inc Stock? Is Now the Time to Jump Into Snap Inc Stock? On Tuesday, shares of Snap Inc (NYSE:SNAP) flew 10% higher. What got the SNAP stock price so hot? An upgrade by the analysts at Deutsche Bank. They now have Snap as an overweight rating and carry an $18 price target. For some, it might be. The company is overhauling its app to be more attractive and user-friendly. Shares have been decimated from the $17 IPO price, bottoming out near $11. But I’m not ready to put my chips in Snap’s corner just yet. I’m not a Snap bull, but don’t paint me as a perma-bear. Just last month, I said SNAP stock price could be heading back to $17 if it can get above $13. Well it did just that and it is a hair from $15 as we speak. I also said there’s hope for Snap, as it has $2 billion in cash and no debt. Having Tencent Holdings Ltd (OTCMKTS:TCEHY) on board with almost 150 million shares (non-voting, like the rest of us) helps too. Tencent wants to create games on Snap’s platform, something that could boost engagement and lure in advertisers. Well, there are a few issues standing in the way. While Snap may carry no debt and $2 billion in cash, it’s burning through that cash in a hurry. Over the last two quarters, the company has lost nearly $450 million. That doesn’t include the previous quarters of losses, either. While revenue adds to its cash pile in some respects, the company is spending more than it makes. It’s plain and simple. Follow that recipe for too long and before you know it, you’ll be asking for more money. The market is forgiving to well-run companies that need cash. It’s not friendly to fiscally loose companies — with exception to Tesla Inc (NASDAQ:TSLA) — that need cash. As if its cash-burn weren’t an issue for me, the company can’t hit an estimate to save its life. Missing on all three revenue estimates so far, it’s also coming up short on user growth. True, SNAP stock is trading well lately despite these fundamental issues. Trades are different than investments, though. That’s exactly why I said traders could buy Snap on a move over $13, but that it still didn’t make for a worthwhile investment. Investors — particularly for tech stocks, growth companies and in bull markets — are willing to overlook a lot of issues. They can look past current losses if a company’s growing its revenue fast enough, but Snap is not. They can look past slower growth if users are growing fast enough, but Snap’s are not. The concern here is Facebook Inc (NASDAQ:FB) and its Instagram platform. In August 2016, Instagram introduced Stories, a blatant copy of Snapchat’s Stories feature. Hardball or not, Instagram soon had more daily users on this feature alone than all of Snapchat’s entire platform. It’s just so hard to compete with FB CEO Mark Zuckerberg. In that light, I would much rather be an investor in Facebook, particularly after shares slid from $184 to $170 in just a few days. Provided Snap keeps burning cash and it continues struggling to grow sales and users, I want nothing to do with it without an improvement first. While SNAP stock was upgraded at Barclays, Evercore ISI doesn’t have much love. 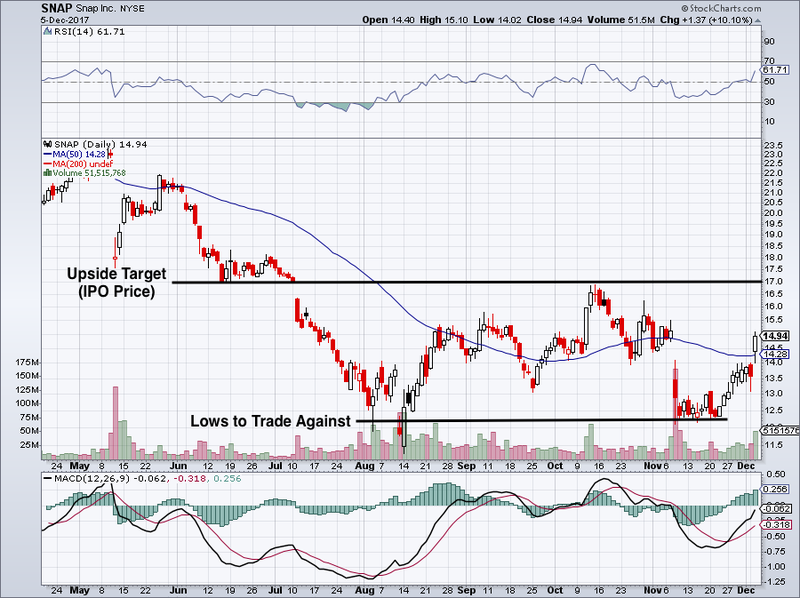 Analysts are using a $7 price target to go along with their underperform rating. That’s sapping some of the gains from the SNAP stock price on Monday, but overall, it’s still up big this week. To me, SNAP stock is in no man’s land. It’s well off its lows near $12 and through temporary resistance/possible support at $13, but a ways away from its IPO price of $17. That’s the upside target for bulls in my view. For those looking to buy SNAP stock, they could use the 50-day moving average at $14.28 as their stop-loss. This level hasn’t proven to be very significant in the past for SNAP stock and it would be purely for risks mitigation purposes. Perhaps waiting for a pullback to $13 would be the most prudent. I’ll acknowledge this strategy isn’t much help, but shares have gone from $13 to $15 relatively fast. Now we’re sort of in the middle — not a buy, not a sell — and don’t have much of an edge at current prices. Let’s wait for a better opportunity. 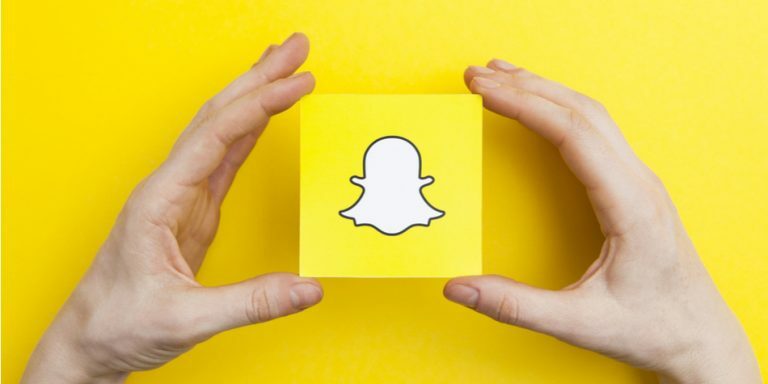 Article printed from InvestorPlace Media, https://investorplace.com/2017/12/is-now-the-time-to-jump-into-snap-inc-stock/.